Graveside services for Jerry Ray Spradlin, 71, of West Monroe, LA were held at 2:00 PM, Wednesday, January 23, 2019 at the Northeast Louisiana Veterans Cemetery, Rayville, LA with Bro. Tom Lowe officiating under the direction of Brown-Holley Funeral Home, Rayville, LA. 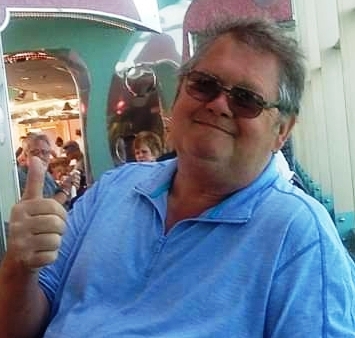 Mr. Jerry was born June 19, 1947 in Omaha, NE and passed away Saturday, January 19, 2019 in Monroe, LA. Mr. Jerry is preceded in death by his parents, Virgil Spradlin and Joann Stokes; daughter, Brandi Nicole Spradlin; twin sister, Terri Robinson; and his brother, Jeff Carter. Survivors include his wife of 8 years, Susan Spradlin of West Monroe; son, Jeremy Spradlin and wife, Mandy of Calhoun; grandchildren, Alyssa Spradlin, Jacob Spradlin, and Emily Spradlin; stepchildren, Lowry Edmonson, Shara Manning, and Brittany Foster; step grandchildren, Clayton Edmonson, Jaina Edmonson, Kayla Manning, Wendi Manning, Tristin Foster, and Jaycee Foster; and his siblings, Gary Spradlin, Tim Carter, and Mary Aldridge. Pallbearers were Jeremy Spradlin, Jacob Spradlin, Lowry Edmonson, Chris Foster, Billy Aldridge, and Josh Aldridge.